Georgia College. At your fingertips. Our job is to make sure you have the tools and resources you need to get the most out of your education at Georgia College. This page is regularly updated to give you easy access to important and timely information. As a student here, we encourage you to take advantage of the expertise of the team in our Financial Aid Office. Our team will work with you closely to help you find the financial resources to meet your educational goals. More than 80% of Georgia College's undergraduate students receive financial aid – in the form of grants, scholarships, including Georgia's HOPE Scholarship, employment opportunities and student loans. Which means, more than likely, we have a financial solution for you. Your course requirements must be completed from the same catalog – either from the year you first enrolled, or from any subsequent year in which you were enrolled. Download the current catalogs below, or look through the archives for a different year. Lost? 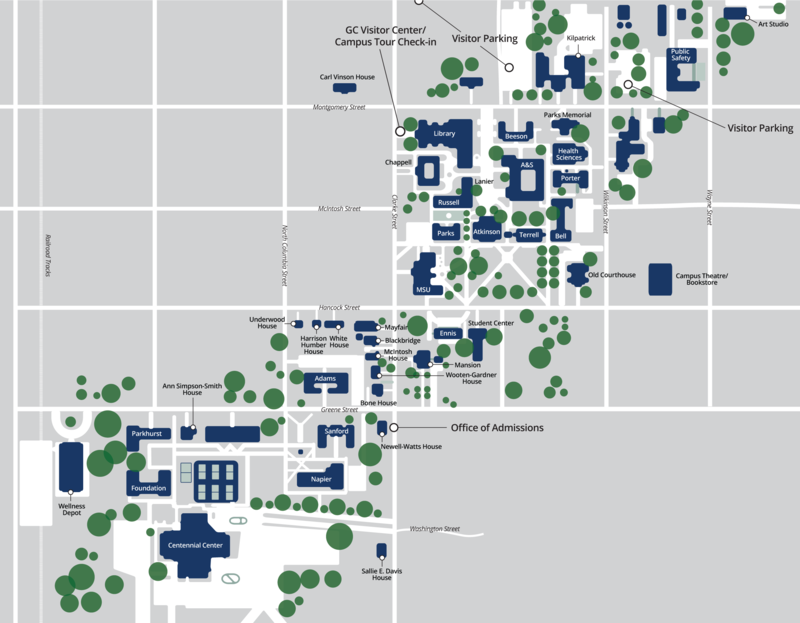 Here’s a map of the Georgia College campus to help you find your way. And if all else fails, stop someone and ask – everyone around here is really friendly and helpful.